After my last article about Europe's Top 10 towns got more than 3000 likes, we decided to bring Germany a little closer to you! Many of us have traveled Germany and we all know about Berlin, Hamburg or Munich. We've heard about the delicious sausages, the beer, the Berlin Wall and of course not to forget the Octoberfest, most probably the biggest "Volksfest" on Earth. In a recent BBC survey Germany was voted as the most popular country in the world. We asked a couple of Australians who have traveled to Europe recently, Germany in particular to share their favourite places with us, and we discovered a few places you should definitely consider adding to your bucket list. Ladies and gentlemen, Australia's Top 10 of Germany's hidden treasures you should visit this summer. It is truly not a hidden treasure but in fact people often forget about Germany's most visited landmark. The tallest building in the world from 1880 - 1884, the cathedral is a scenic point visible in the whole region. Located next to the river Rhine the church is truly one of the most magnificent buildings on Earth and a masterpiece of exceptional value. During the Second World War the cathedral suffered 70 hits by aerial bombs but did not collapse unlike the rest of the inner city of Cologne. The city of Dresden, especially its famous panorama, deserves way more credit than it actually gets. It is not only one of the most beautiful and historic cities in Germany but it also has a very remarkable sight, the Frauenkirche. Completely destroyed during the Second World War, the ruins remained as a memorial to the past atrocities committed during the airstrikes on German cities. 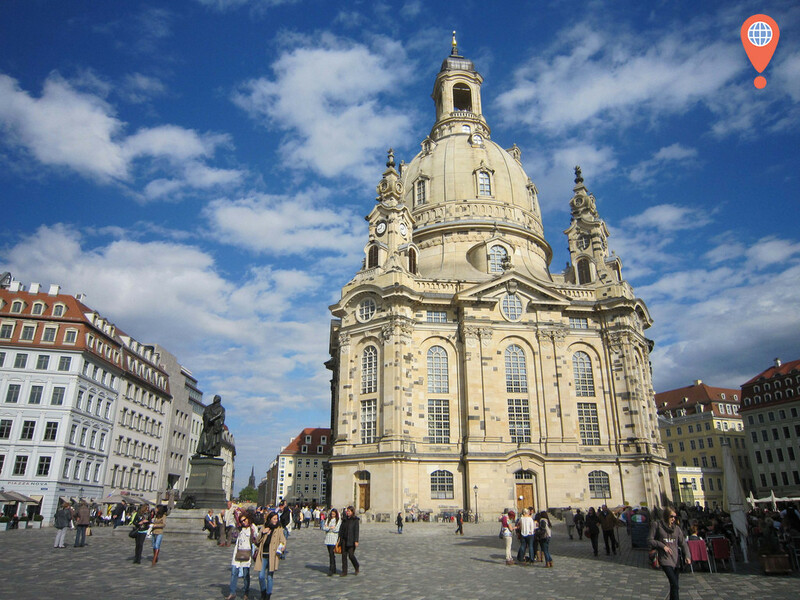 In the late 80's the people of Dresden raised their voices to rebuild the church, successfully. The foundation stone was laid in 1994 and after ten years of hard work the church reopened to the public again. A charming, not too big, not too little town called Regensburg is located in the Bavarian forest. You can find 35 cultural UNESCO World heritage sites in Germany, and the medieval centre of Ratisborn is one of them. The most magnificent sight next to the cathedral is the so-called "Stone Bridge" built in the 12th century. It was a milestone in the architectural history of bridges, serving as a role model to many other well-known bridges such as the Karlbridge in Prague or the London Bridge. It served as the only bridge across the Danube for more than 800 years. Have you ever been in search of a Christmas wonderland? Well, I have found it for you! 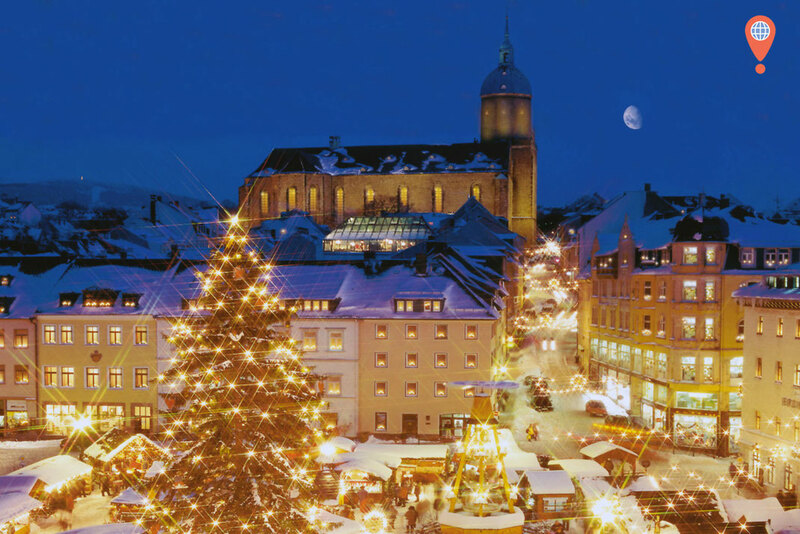 Annaberg and its surroundings are well known for its beautiful Christmas markets and special flair. There is no better place to be during this time of festivity and love. Literally the whole town is full of lights! Annaberg also hosts the world's biggest "Miner's Parade" by the end of Christmas. Let's all sing it, "All I want for Christmas... is to be there!" 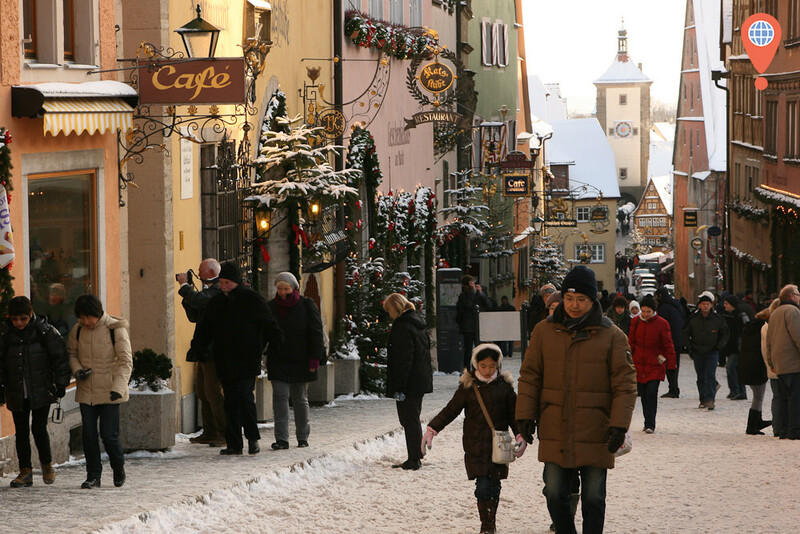 - The Christmas market is usually open from the 1st Advent until the 23rd of December. 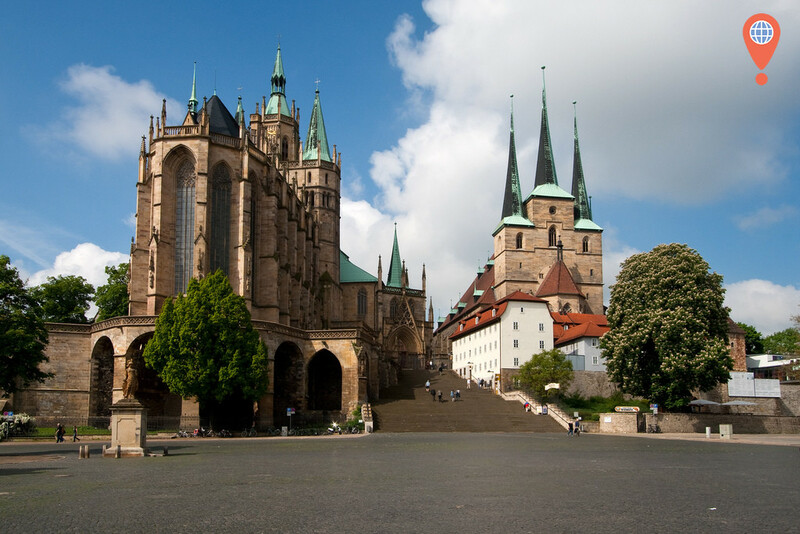 Some people say Erfurt is located in the heart of Germany. 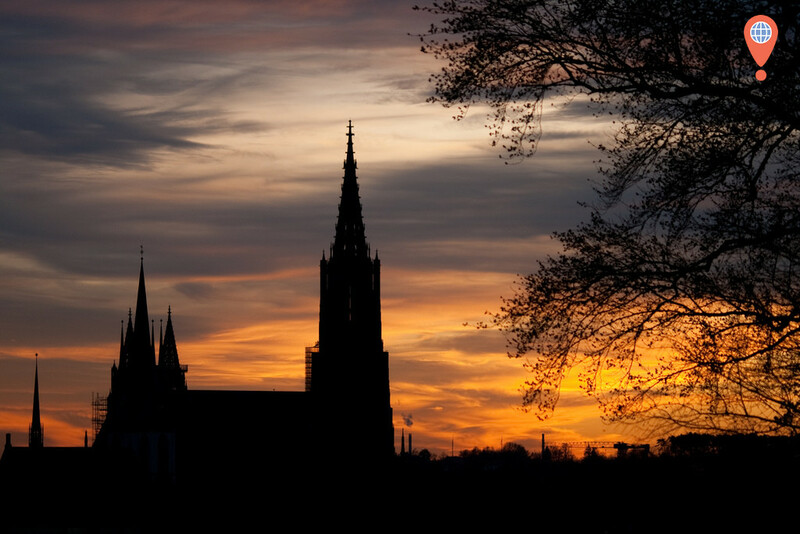 Now, that may be arguable but the one thing that isn't up for discussion is the fact that Erfurt is full of highlights. 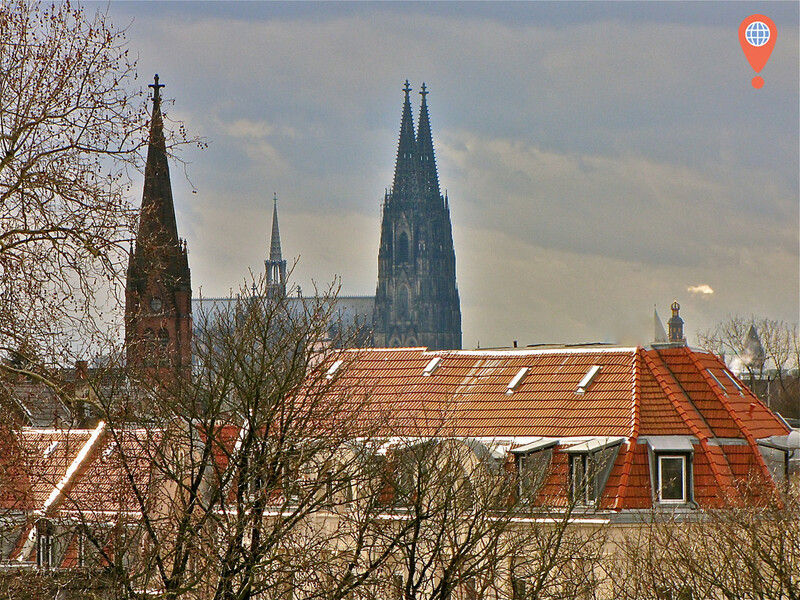 The most notable site is probably its cathedral as in many German cities. But did you also know that the oldest synagogue still standing in Europe can be found here? A further attraction is the Krämerbrücke, a bridge that is covered with inhabited buildings. It is the only bridge of that kind that can be found in Central Europe. The former city gate in Lübeck, located in the very north of Germany is part of the UNESCO World Heritage since 1987, as well as the rest of the inner city. People from northern Germany are usually considered as more calm and down to earth. That also applies to Lübeck. Even thought the city is only a couple of miles off the coast, its entire old town lies on an island enclosed by a river called Trave. 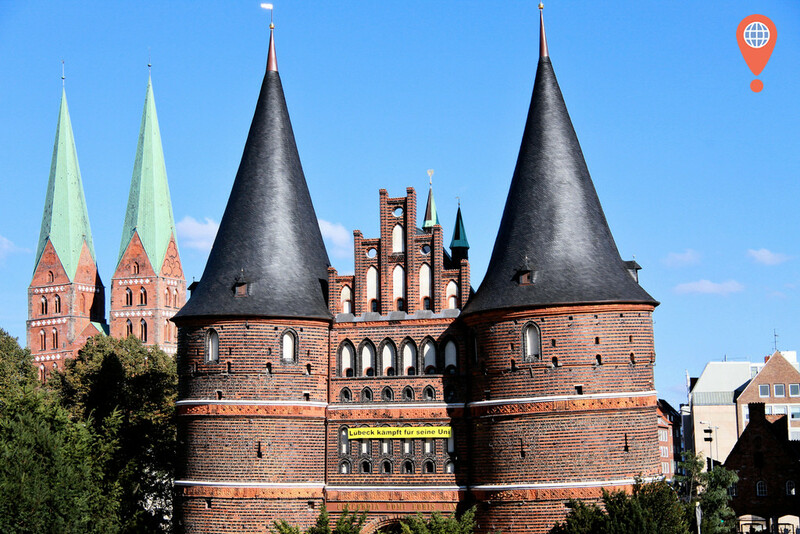 Lübeck is also the hometown of some notable people such as Thomas Mann, a German novelist, and former chancellor Willy Brandt. Whether you believe it or not, but yes, Germany has great beaches and they can all be found on Rügen. "An oasis in the Baltic sea", that's what many people say about it. The island is known for its unique chalk cliffs that can only be found in that area. The most famous one is the so-called "King's Chair" which rises 118 meters above sea level. 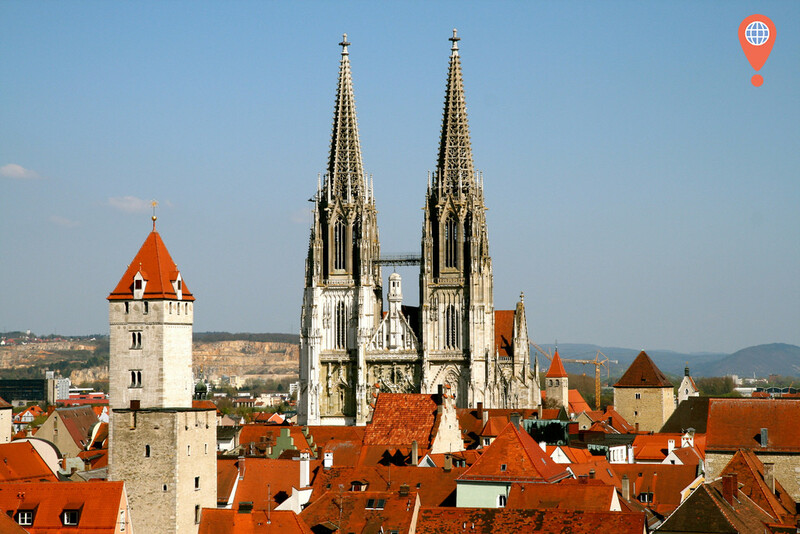 As many amongst us may not know, the Ulm Minster is the tallest church in the world. This landmark is located in a little town in the Baden-Würtemberg called Ulm, 161.5 meters from the top to bottom. It was even the tallest building in the world for 11 years and also the last one to be the tallest on European soil to date. Ulm is also the hometown of one of the biggest geniuses of all time. Mastermind and former Nobel Prize winner Albert Einstein was born in Ulm. Are you looking for a real hidden treasure? Rothenburg is one of the most amazing places in Germany. It is probably the most well preserved medieval town in the world! Every single building has a story to tell and by visiting the town your imagination is able to travel back in time to the days where knights and kings still ruled the country. 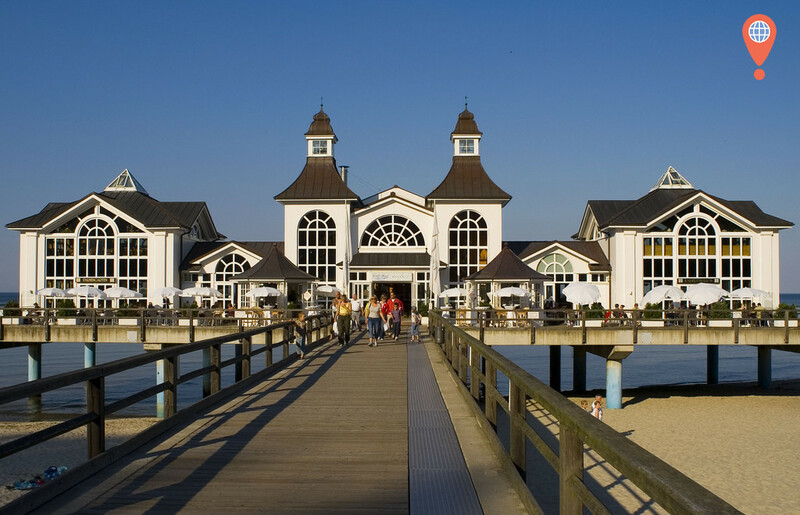 The town is located in the south of Germany and only counts 10,000 inhabitants. We are talking about treasures and this is truly one waiting to be discovered. 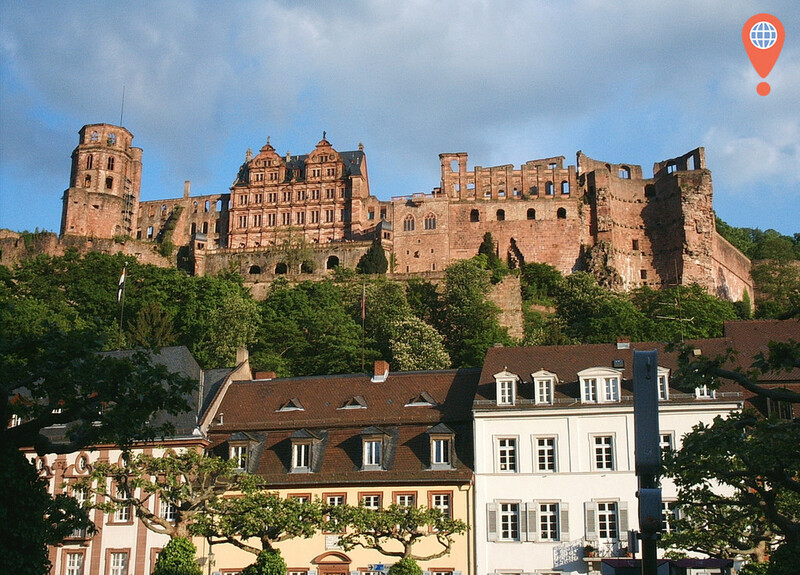 The number one hidden treasure as voted by Australians is the stunning castle of Heidelberg and its awesome surrounding Old Town. Why Heidelberg? 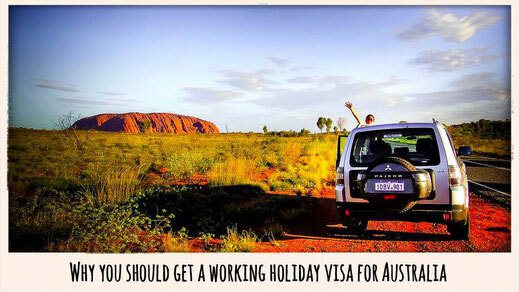 Because it is simply breathtaking and not as popular as it should be down under. This place deserves more credit due to its beauty. It is unquestionably a masterpiece of the Renaissance. The castle overlooks the Old Town and the river Neckar is a fundamental part of its panorama. 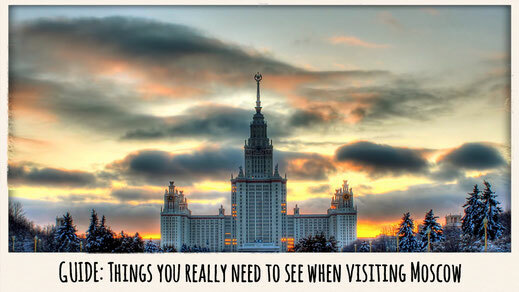 It is now your turn and you should go and discover this stunning place yourself! Update: The Team of Heidelberg Marketing is very delighted and has a very special message for everyone who voted for Heidelberg as top tourist attraction. If you happen to visit Heidelberg during the Christmas season the Heidelberg 4 you Team invites you to enjoy a hot glass of mulled wine! To all the Aussies out there, make sure you visit Heidelberg and don't miss out on a sip of some good German Christmas tradition! For more information please get in touch with me. WHAT IS YOUR FAVORITE PLACE IN GERMANY?